FERSCO offers a wide line of bandsaw blades, machine fluids, and cutting tool accessories to accomodate all of your cutting needs. All of our products and materials are produced by the leading manufacturers in their industry. 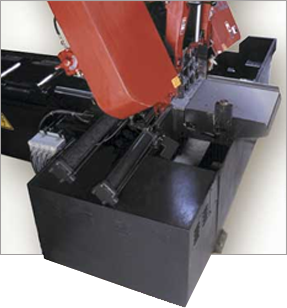 FERSCO has been on the cutting edge of band sawing technology for more than 30 years and we pride ourselves on providing our customers expertise, the very best in products, and cutting technologies available. Can't find something you need? Drop us a line. We look forward to answering your questions!